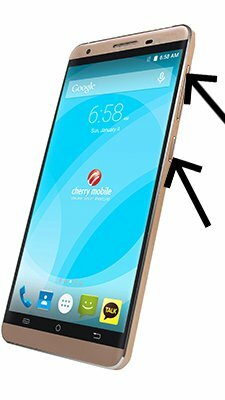 How to update Cherry Flare S4? To update the Cherry Flare S4 you need to install an alternate firmware (ROM). If the device does not automatically update by itselves. What Version Is This Please? Is This Version 8? Because I Finding 8. Hi! No, its V3, V6, V13 and V15. can i get the link of update firmware.? How can I download cherry mobile s4 lite stock firmwarwe? Hi! Click on Cherry Flare S4 Lite update – official firmware (OS 5.1), login and download your stock firmware. Hi! There is no Android Marshmallow update for Cherry S4. Will Cherry S4 be updated to Marshmallow? Hi! Cherry Flare S4 most likely will not be updated to Android 6 Marshmallow. is it possible to update kitkat to marshmallow.?how.? Hi! it is possible but not on all smartphones. Write the model of your device and I’ll write if that’s possible. How about for Cherry mobile Flare S4 Mini? Lollipop to Nougat? Hi! Unfortunately there is no Android Nougat rom for Cherry Mobile Flare S4 Mini. can i get the default os of cherry s4?it always restarts when i updated it usin g wireless update, please. .
Hi! You can download official stock firmware for Cherry Flare S4 by link above. 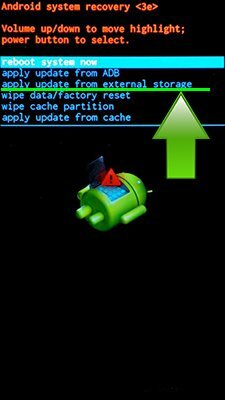 how to update my flare s4 5.1 to 6.0 os ? plss help me asap! Hi! There is no Android 6 Marshmallow update for Cherry Flare S4. Im trying to update my Flare S4 w/ mobile data connection ( i dont have any problem w/ the speed of my internet , and unfortunately , i dont have Wi-Fi at home ) but everytime the download is done it would say “The File is Corrupt” , tried downloading 3 times , the same scenario. Is there any way to manually update my Flare S4? Hi! You can download update for Cherry Flare S4 by link above, then open update app and select downloaded update package. Is it possible to upgrade Flare S4 plus to a higher version? Hi! The latest update for Cherry Flare S4 Plus is Android 5.1, you can download it by link above. Hi! Install antivirus, scan and delete all viruses on your Cherry Flare S4 Lite. Hi! You can factory reset your Cherry Flare S4 http://en.androidmir.org/ann/2572/ or flash official firmware by link above. HI i have flare s4 ,can i update it to nougat ir marshmallow? Hi! There is no Android Marshmallow or Nougat update for Cherry Flare S4. How can i update flare s4 max? Hi! I’ve downloaded the system update of my flare s4 then let it install in my phone but unfortunately during the installation an error occurred then after that I couldn’t open my phone. Could this be fix by not resetting it? Would it be fix if I reset it?